KO OLINA, Hawaii (Aug. 28, 2016) – Aulani, a Disney Resort & Spa today announced new, creative guest experiences that will debut later this year. 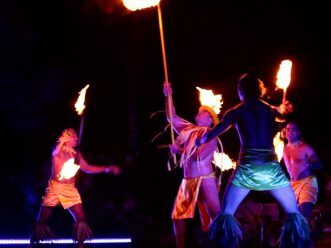 The resort will introduce KA WA‘A, a luau at Aulani, a Disney Resort & Spa providing families with an enchanting dining experience and imaginative entertainment, and visits from Moana, Disney’s newest heroine. The announcement was made as part of the resort’s fifth-anniversary celebration of offering unforgettable family vacations on the island of Oahu. The exciting and inspiring KA WA‘A luau will open in November. 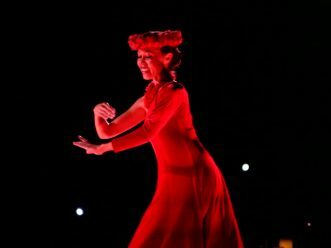 Guests can feast on a sumptuous, local island buffet, and enjoy lively music and traditional Hawaiian dance, including hula kahiko and modern hula ‘auana. Through Disney’s signature storytelling, guests will experience Hawaii’s history and its deep cultural roots in canoe exploration—a voyage which brought Hawaiian ancestors to the beautiful ‘Ewa Loa plains surrounding Aulani Resort. Before the luau, guests can enjoy special pre-show entertainment, family activities, traditional crafts and more. Also in November, as Walt Disney Animation Studios’ film “Moana” sails into theaters, Moana, herself, will arrive at Aulani Resort. The animated feature film is about an adventurous teenager who, with help from demigod Maui, sails out on a canoe for a daring mission to prove herself a master wayfinder and save her people. At Aulani Resort, Moana will join the resort’s beloved Uncle and Aunty as they visit with guests and recount tales of adventure. During its first five years, Aulani Resort was voted the No. 1 family beach resort in the Travel + Leisure World’s Best Awards. The Hawaiian destination provides world-class entertainment, a complimentary kids club, an award-winning spa, exceptional dining, breathtaking pools and more. Bob Chapek, chairman of Walt Disney Parks and Resorts, joined the Aulani Resort this week to present a $25,000 donation to Friends of Hokule‘a and Hawai‘iloa, a nonprofit organization dedicated to the perpetuation of canoe building and the preservation of this unique Hawaiian heritage. In addition, a one-sixth model of the Polynesian voyaging canoe—the Hokule‘a—debuted in the resort’s Maka‘ala Lobby. The model will serve as a visual reminder of Hawaii’s heritage of exploration. Aulani Resort’s connection with the iconic canoe reaches back to the early days of the resort, when Walt Disney Imagineers sailed on the Hokule‘a to gain inspiration for the resort’s design. Aulani, a Disney Resort & Spa is perfectly positioned on 21 beautiful oceanfront acres of Ko Olina on the leeward coast of Oahu. Just 17 miles from Honolulu International Airport and approximately 30 minutes from Waikiki, Aulani Resort features 351 rooms, including 16 suites, and 481 two-bedroom equivalent villas, including 20 grand villas. Guests are invited to experience its world-class spa, restaurants and lounges, pools, complimentary kids’ club, and more—all uniquely designed for families to discover the culture, history and traditions of Hawaii. Aulani Resort was voted the No. 1 family beach resort in the Travel + Leisure World’s Best Awards in 2016. For more information and reservations, visit www.disneyaulani.com or call (866) 44-DISNEY.